RYANAIR AVIATIONS MOST EXPLOITED AIRLINE WORKFORCE .We are in no way affiliated with Ryanair. 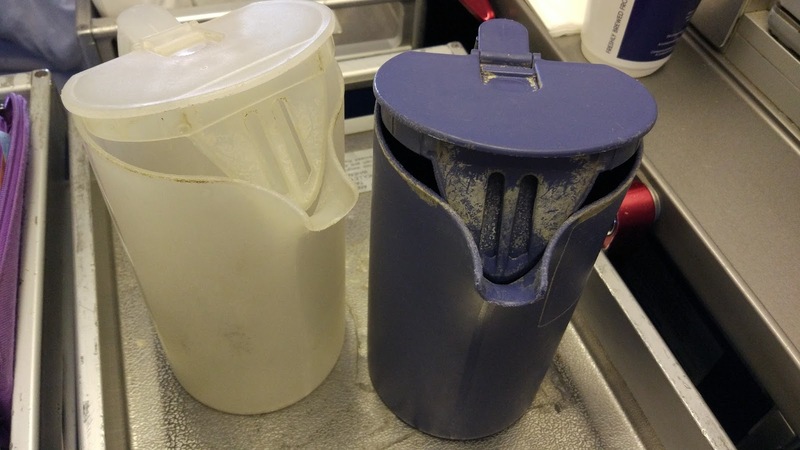 : RYANAIR CLEANLINESS ON BOARD LAVAZZA WILL INVESTIGATE. NAPKINS SHORTAGE ALSO A PROTEST. RYANAIR CLEANLINESS ON BOARD LAVAZZA WILL INVESTIGATE. NAPKINS SHORTAGE ALSO A PROTEST. SHOCKING RYANAIR MEMO TO CABIN CREW. 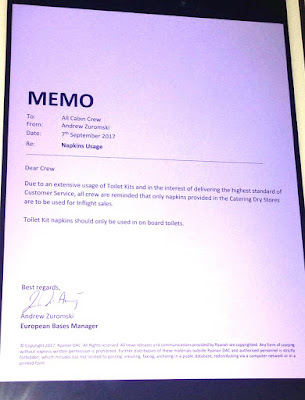 PLEASE SHARE... Ryanair Cabin Crew Said, Ryanair give cabin crew 50 low quality napkins a day to use during the bar service to passengers on board.One aircraft can do up to 8 flights a day with over 1000 passengers in summer months.Once we finish giving out those napkins we have to resort to using TOILET paper ,which is kept inside the aircraft lavatories.Ryanair sent all cabin crew a memo asking us to use less Toilet paper to save money even though Ryanair made €1.3 Billion profit in 2016. 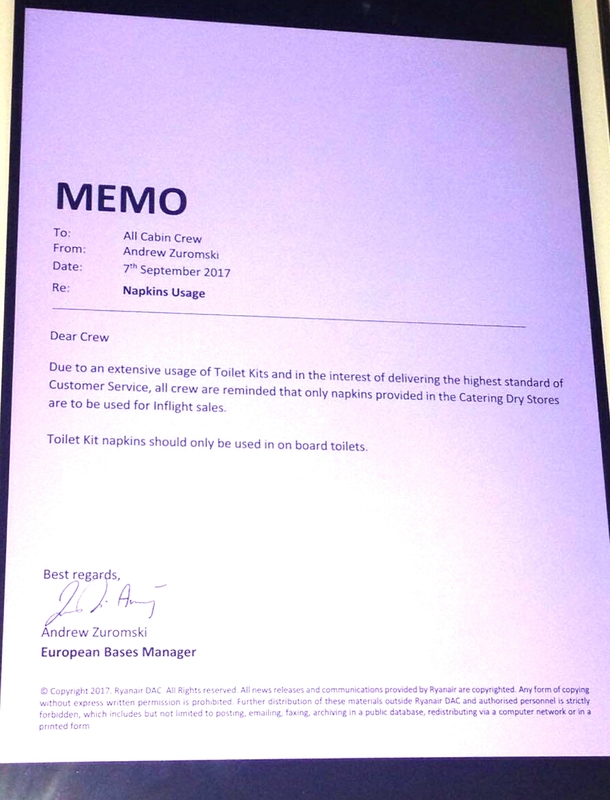 John said, Not only does this show how cheap and cost cutting Ryanair are but the fact that passengers that order food and drinks on board are given toilet paper from public lavatories on board. Remember next time your on board a Ryanair flight "Think before you buy any drinks or food"... Look at the Ryanair memo below and please share.